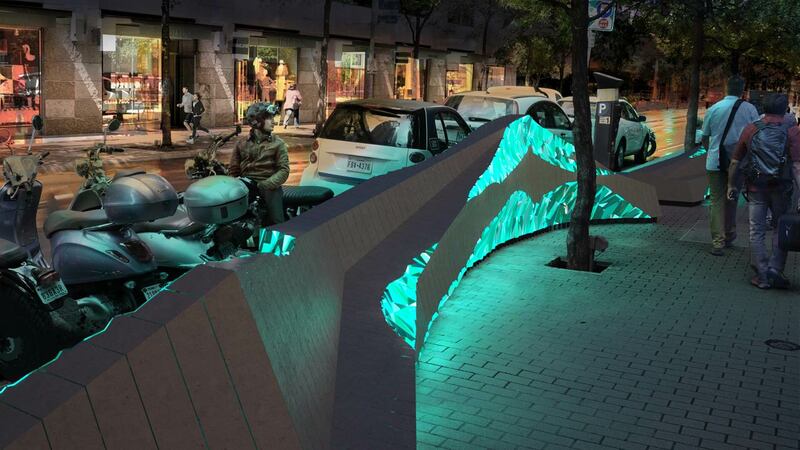 Hydroferre is a design proposal for a functional, interactive lighting sculpture that engages users through form, materiality, and experience. It represents central Texas’s geological features as a landmass that exposes springs from an internal aquifer source. Formally, we looked at many of the escarpments and plateaus of the area to create a mass that is both aesthetically pleasing as well as functional. 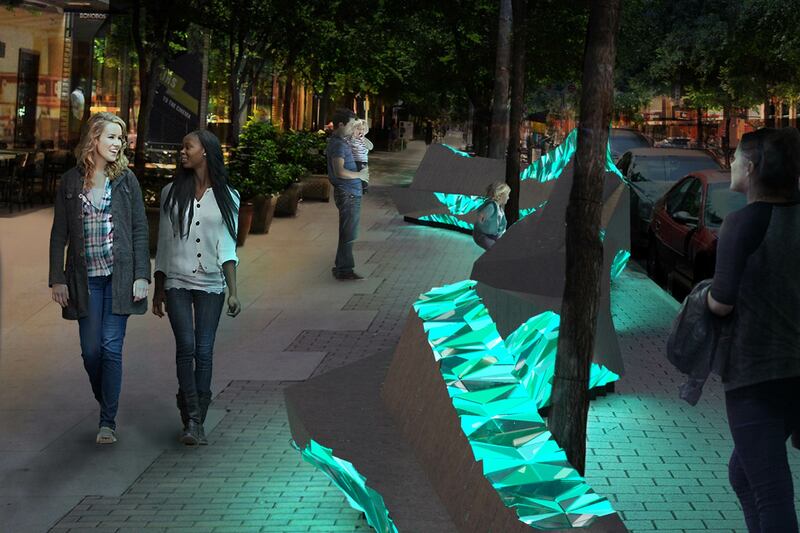 This proposal was created for the City of Austin’s Art in Public Places. The project relates directly to Austin and central Texas’s geological features. The Balcones Fault Zone has shaped much of the area’s geography and is also responsible for creating Edwards Aquifer beneath the earth. This aquifer seems vital to central Texas as a source of water for municipal and irrigation use but also as a source for recreation. The springs that arise from this aquifer create amazing places for people to visit and exude beautiful hues of blues and greens from the ground. 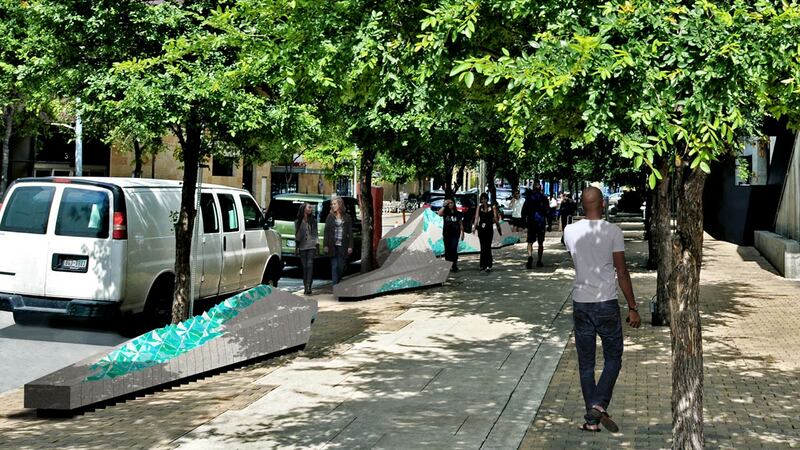 This unique installation provides a new experience for the thriving development that is occurring in Austin’s downtown and specifically the Green Water Treatment Redevelopment, while emphasizing the natural beauty that exists within the region. 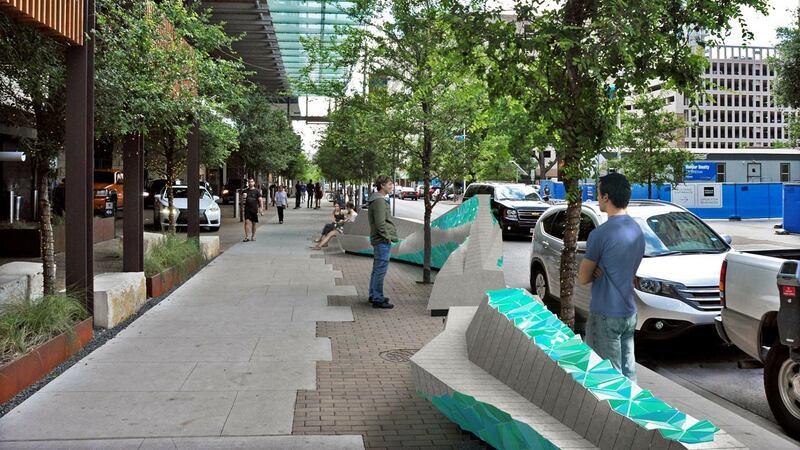 The shapes of the form transition from peaks to plateaus and allow for bench like areas for seating as well as places to lean and take a break along the sidewalk. Carving away at the landmass, cast concrete sections, exposes the beauty that lies within it, revealing a dynamic element similar to the underground springs in the earth. The vibrant colors of the exposed glass tile mimic the vivid color sets that can be seen at many of the area’s springs. 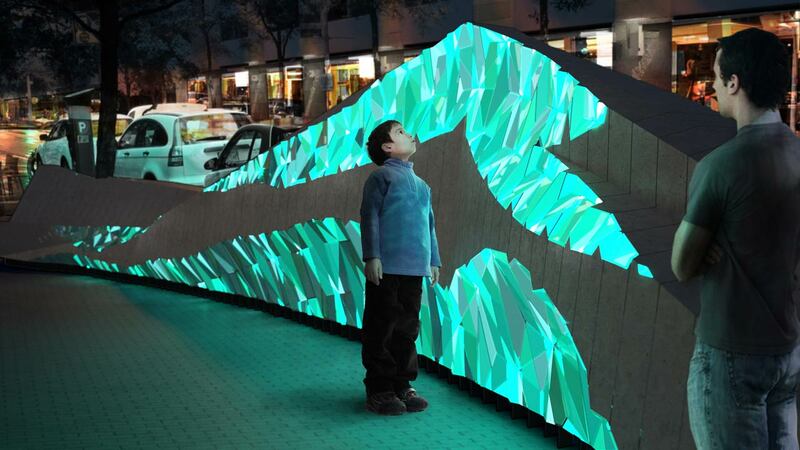 This glass element also features the interactive Passive Infrared Sensing and LED lighting portions of the project that will engage users and passers by.